Here you are in the heart of Seville. It is impossible to resist the charm of this district with its winding alleys, its picturesque lime-washed houses, its delicate hardly visible flowery patios and its small squares. As the Jewish district in the Middle Ages, it benefited from the protection of the Crown after the reconquest but at the end of the 14C it was taken over by the Christians who changed all the synagogues into churches. 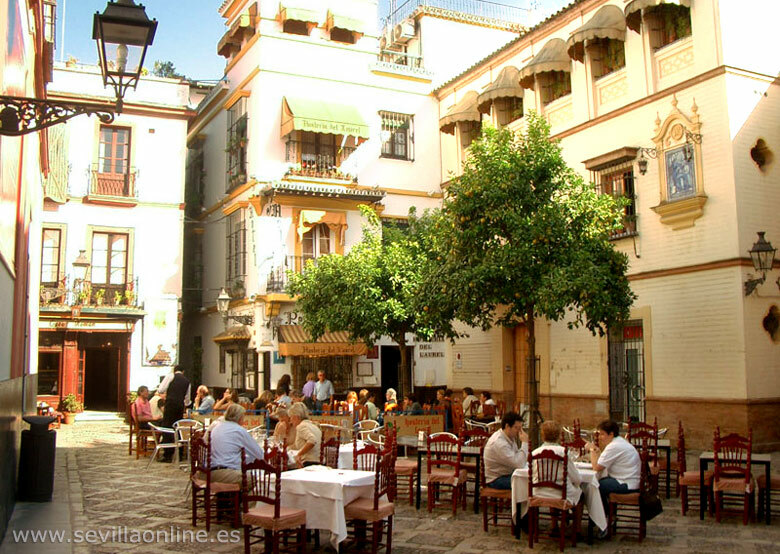 When you have walk in this district, specially towards sunset, you get the impression of travelling back in time, almost savouring the Legend of Don Juan, which took place in Santa Cruz Quarter. Or alternatively, coming out of the courtyard on to the Triunfo square, immediately take the right turn into Romero Morube street; perhaps a little theatrical but pleasant nevertheless.